Within China's thriving art scene, some native artists are devoting themselves to reviving traditional arts through international communication. In this way, the "Shanghai's new ink painting" style was born, which is an innovation of Chinese ink painting, one deeply rooted in Chinese history, concepts and tradition. Chen Jialing is a leading figure of "Shanghai's new ink painting". He earned his reputation by using a new technique of applying ink to rice paper. With clean colors and simple images, his works seem to create a soothing effect of misty serenity. Fan Di'an, the curator of China National Museum of Fine Arts, speaks highly of Chen Jialing's contribution to innovating traditional Chinese ink painting. "After China's reform and opening up, Chinese painters have faced all kinds of tasks. And one of the most important tasks was to innovate this old art while inheriting the fine tradition. Chen Jialing, a well-known artist of China's contemporary art, has made a big contribution to this task. His works convey a brand-new zeitgeist and provide a visual feast. 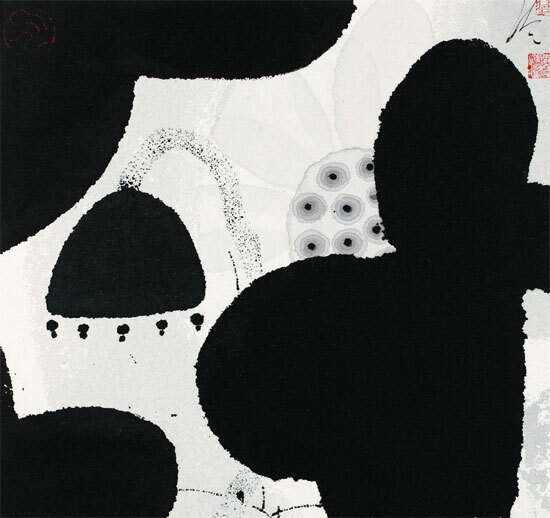 This exhibition is a showcase of his explorations into ink painting over the decades." 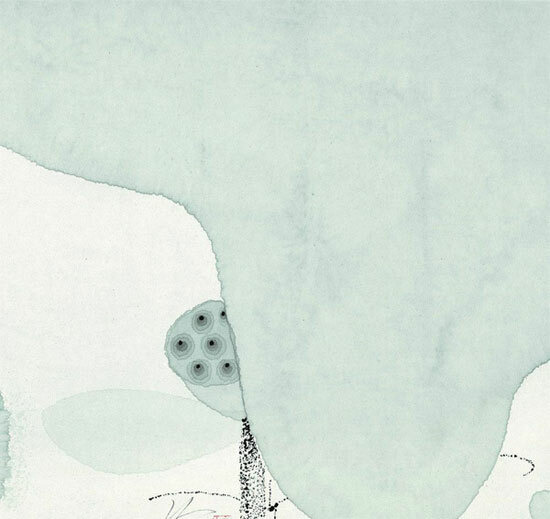 Chen Jialing's works have always had a foothold in modern concepts. Thus, he is capable of arousing strong feelings in his audience. "His works are fresh, elegant and simple. They are different from traditional Chinese paintings. They transport viewers immediately into a world of simplicity and purity. Anyway, I think many girls will like these paintings." 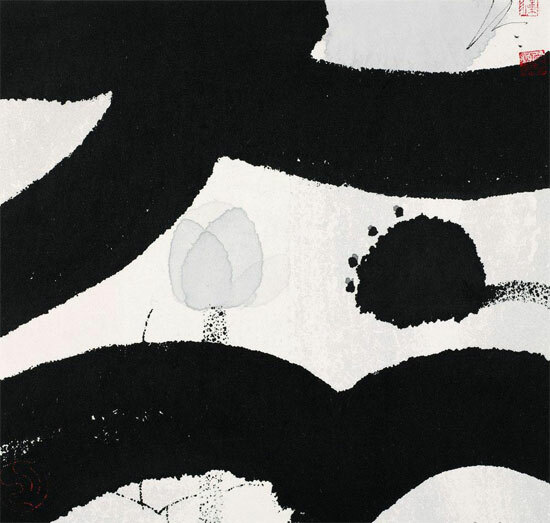 Chen Jialing began to explore new painting techniques back in the 1980s. He says the social environment at that time influenced the innovation. Born in east China's Zhejiang Province, Chen Jialing graduated from Zhejiang Academy of Fine Arts. He studied under the master painter Pan Tianshou. His painting "Lotus", applying new techniques, won the silver award at the National Painting Exhibition in 1989. His works went on to achieve international acclaim. They have been exhibited around the world and are favored by collectors worldwide. Ethan Cohen Fine Arts is the first gallery specializing in contemporary Chinese art in the United States. Its publication entitled "Chinese paintings after 1949", features Chen's painting on the book's cover. 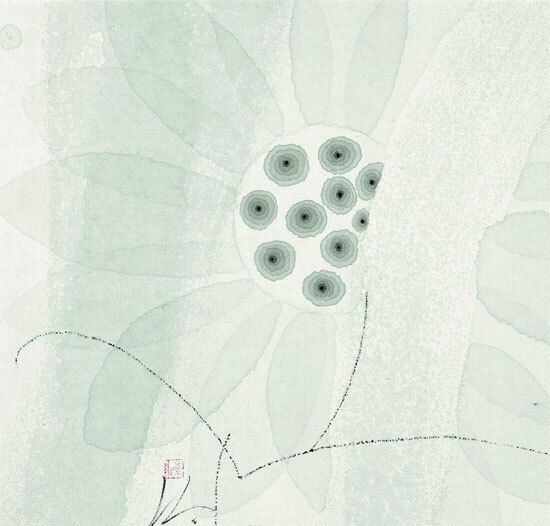 In Chen Jialing's Lotus painting, he uses semicircles and light ink to symbolize the lotus leaves. This light ink takes up almost the whole painting. The flowers seem to breathe with life. Sometimes his lines appear almost childishly clumsy, but his works convey a unique aesthetic and the leisurely attitude of the painter. His themes ponder ancient Chinese philosophy. "In my works, I am in pursuit of variations, featuring a return to nature. In recent years, I've always been in search of new materials. The new materials can help generate my new techniques and therefore create new visual effects." Talking about his new painting skills, Chen Jialing says he just developed a painting material that other Chinese artists haven't made full use of. "Traditional Chinese ink painting focused on skillfully wielding brushes on rice paper with lines and dots. But in my works, I have taken full advantage of the unique characteristics of rice paper. Since rice paper is very sensitive, ink bleeds easily on it, displaying complex shade variations with translucent fluidity. The spontaneous effect is also a kind of art form." Chen Jialing often says he is painting along with God. "On one hand, I am painting with a brush; on the other hand, the rice paper is also 'painting' spontaneously. It seems like we two are playing a game with each other. So I say I am painting along with God." However, there are some people who still consider Chen Jialing's boneless paintings are at odds with traditional Chinese paintings which feature the skill of using a brush. But he thinks the essence of Chinese painting is to show the artistic conception and artists' inner world with different skills. "Tradition and innovation are not opposed to each other. Both of them are important to human beings. We should inherit good traditions while improving some of them. Moreover, innovation embodies human wisdom. In this way, we can lead a better life." In China, there are also many artists who are devoted to evolving the classical brush-and-ink tradition into a truly contemporary art form. With their efforts, more and more Chinese paintings are showcased in worldwide renowned galleries and attract visitors from various cultural backgrounds. Hopefully among all those dedicated artists, we will find more bold innovators, like Chen Jialing, who will diversify the traditional ways of making art. Born in 1937, is a native of Yong Kang, Zhejiang province. He is now a member of the Chinese Artists Association and a Chinese painting instructor at the College of Fine Arts of Shanghai University. He graduated from the Zhejiang Academy of Fine arts in 1963. 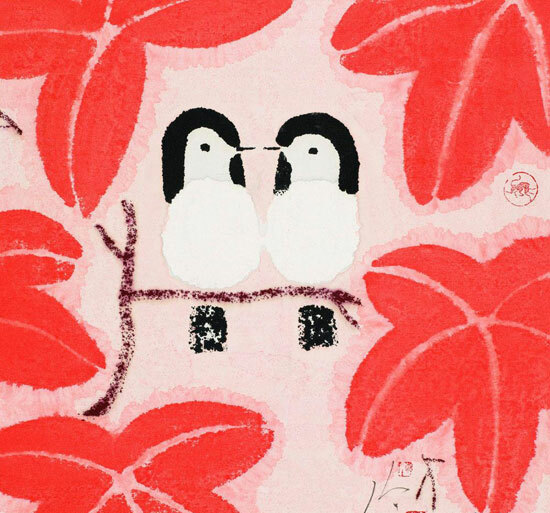 At the beginning, he learned figure painting, later on he learned from Lu Yanshao calligraphy, skills of painting landscapes and flowers-and-birds in the early 70s. 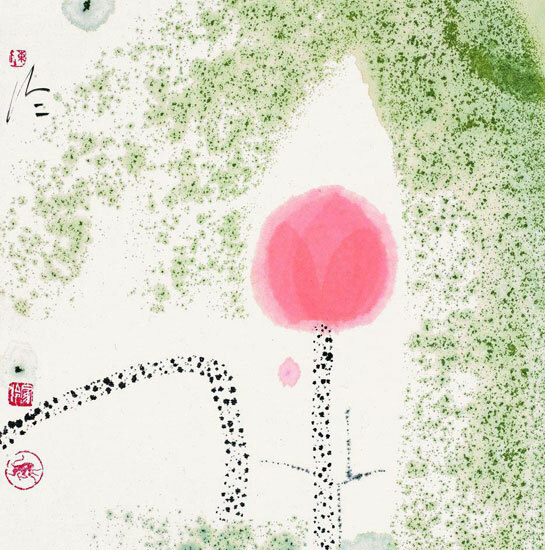 Since the 80s, by passing through a repeatedly research and practice as well as assimilating the skill of Chinese ancient murals and foreign watercolor paintings, he has created the kind of modern Chinese paintings which expressing the Chinese philosophic theory and featuring impressionism, abstractionism and expressionism. Chen is fond of painting lotus and landscape. Most of his works reflect a dreamlike world expressing an implicit theme which also protruding the spirit of noble and graceful, furthermore bringing out a powerful artistic influence. 1937 Born in Hangzhou, Zhejiang. 1963 Graduated from the traditional Chinese painting department of Zhejiang Art Academy; studied after Pan Tianshou. 1963-1983 Taught at the Shanghai Academy of Fine Arts; Studied after Lu Yanshao. 1983 Professor of the traditional Chinese painting department, Shanghai Academy of Fine Arts. 1986 Attended "Modern Chinese Art Exhibition" organized by US-Sino Art Exchange Center, toured exhibited in NYC, etc; invited to teach in West Berlin High College of Art. 1987 Introduced in the book "Chinese Painting after the Founding of PRC (1949-1986)" PUBLISHED BY American AMBAMS. Work "Lotus" as the cover of the book. 1988 Group exhibition, "GALERIE OBERLICHT" in West Berlin. Group exhibition, "Modern Chinese Painting Exhibition" in West Germany. Group exhibition in 57 International Art Gallery in New York. Group exhibition, "East and West Gallery" in West Germany. 1989 Solo exhibition in WAN YU TANG Art Gallery, Hong Kong. Attend the 7th National Art Exhibition; Work "Bu Ran" got the Second Prize. 1990 Group exhibition "New Generations of Chinese Art" hold in Smithsonian American Art Museum. Solo exhibition in WAN YU TANG ART Gallery, Hong Kong. Solo exhibition in Taiwan Crown Art and Literature Center. 1991 Group exhibition "Asian Aesthetics: Chinese Modern Painting" in American Bend Art Center Museum. Group exhibition "Chinese Excellent Painting Exhibition" in South Korea Wailer Hill Art Museum. Solo exhibition in Singapore Museum. Solo exhibition in Taiwan Dragon Art Center. Solo exhibition in South Korea Xuan Art Gallery, Seoul. Group exhibition "Shanghai Modern Art Exhibition" in Tokyo, Japan. Group exhibition "Shanghai and Taiwan Modern Ink Wash Exhibition", toured exhibited between Mainland and Taiwan Straits. 1994 Group exhibition "Modern Chinese Ink Wash Painting Exhibition" in Tai Zhong Provincial Art Museum; invited to attend "Modern Chinese Ink Wash Painting Academic Seminar". Attend the "the Exchange Invitation Exhibition between China, Japan, South Korea and Hong Kong host by Hong Kon Wulingzhuang Art Association". Be invited to attend "the 8th International Art Academic Conference" in Paris, France. Be invited to attend the activity of "Sino-Germany Culture Month" in Hamburg, Germany. Attend the exhibition of "East meet West" in Connecticut State in America. 1996 Attend the "Shanghai Ink Wash Painting Exhibition" in Arizona State University Art Museum in America. Attend the "Modern Chinese Painting and Sculpture Exhibiton" in Michael Coedhuis Art Gallery in London, Britain. 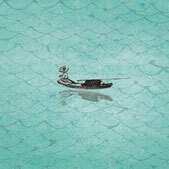 Attend the "Three Shanghai Artists Painting Exhibition" in Shanghai Huicui Art Center. 1997 Went to inspect teaching situation in America organized by Shanghai University Fine Art Department. 1998 Be chosen in "the Hundreds Shanghai Artists Works Exhibition" host by Shanghai Culture Foundation. Be invited to attend the activity of Shanghai Ten Artist going to Canada to sketch organized by Shanghai Jianguo Charity Foundation. Attend the "Shanghai Biennial Exhibition". Attend the activity of "the Impression of Canada in Chinese Artist's Eye". Attend "the First International Ink Wash Biennial exhibition" in Shen Zhen. Be invited to attend "the International Porcelain Festival" in Amsterdam. 2000 Found the "Shanghai Shen Kiln". Attend the group exhibition "The 8th Asian Artists Exhibition" in New York. 2001 Attend the group exhibition "Asian Peace Art Exhibition" in Osaka, Japan. 2002 Attend the group exhibition "Modern Chinese Painting Excellent Works Exhibition-Shanghai Works Exhibition" in CPPCC auditorium, Beijing. Found the planning unit of "Half Island Art Center" and "Half Island Art Museum". This is the first folk art museum in Shanghai. 2004 Hold the solo exhibition "Harmony" in World Art Gallery, Tokyo, Japan. 2005 Attend the group exhibition "Harmony between Heaven, Earth and Human: Liu Guosong, Chen Jialing and Qiu Deshu New Ink Wash Art Exhibition" in Shanghai Duoluo Modern Art Museum. 2006 Be invited to attend the exchange exhibition of Shanghai Famous Artists to India. 2007 Hold the solo exhibition "Harmonious and Happy" in Shanghai China painting Academy. Hold the solo exhibition "Flexibility and Ingenuity' in National Art Museum of China. Hold the solo exhibition "Perfection" in Shanghai Art Museum. 2008 Attend the group exhibition "2008 Art in China: Modern Ink Wash Painting Exhibition" in Valencia Modern Art Museum in Spain. 2009 Hold the solo exhibition "Travel with Spirit" in Guangdong Art Museum. 2010 Hold the solo exhibition "Travel with Spirit" in Shanxi Provincial Art Museum. 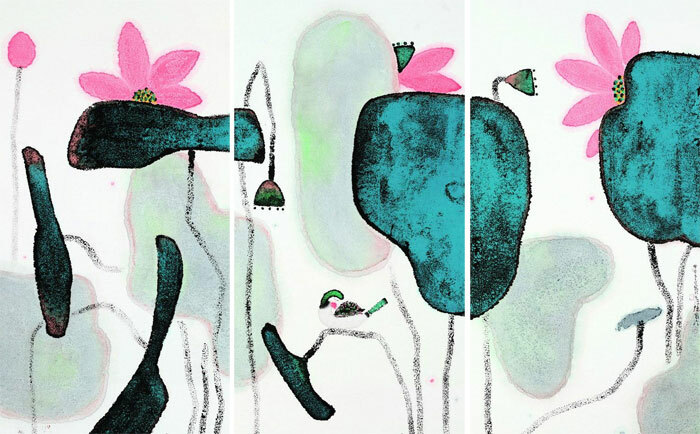 Hold the solo exhibition "Harmonious and Happy: Chen Jialing Art Exhibition" in Zhejiang Art Museum.